Old Rip Van Winkle Bourbon Whiskey is a Kentucky Straight Bourbon whiskey produced by the Sazerac Company at its Buffalo Trace Distillery in Frankfort, Kentucky. It is sold in 750ml glass bottles. The arrangement for production of Old Rip Van Winkle at the Buffalo Trace Distillery was the result of a joint venture arrangement with the Van Winkle family that was established in June 2002. Since 2008, old Rip Van Winkle Bourbon has experienced extreme demand that outpaces the 7,500 cases yearly produced that has resulted in a secondary market that has fetched up to $2,600 for one bottle. 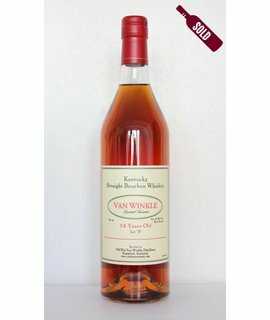 In late 2013, Van Winkles released a special limited edition decanter set of specially selected Old Rip Van Winkle 23-year-old, 114 proof bourbon barreled in early 1986.